On this rare occasion when I actually have two days off together I've been trying to tackle the chores. With hubby arriving in a week I'm trying to get everything up to snuff as much as I can. Attempts to fix the washer failed when I discovered that the part that was recommended and sent was not the right model afterall so it has to be shipped back. At this point it's starting to become clear that I'd be better off just buying a used one from the classifieds. Cleaning molding around doorways, and old panel doors with their many nooks and crannies gets pretty tedious and so, since it was such a beautiful and sunny day it was time to take a break before I tackled the job of ripping up more carpet. Off to the beach that is a mere two minutes from the house. 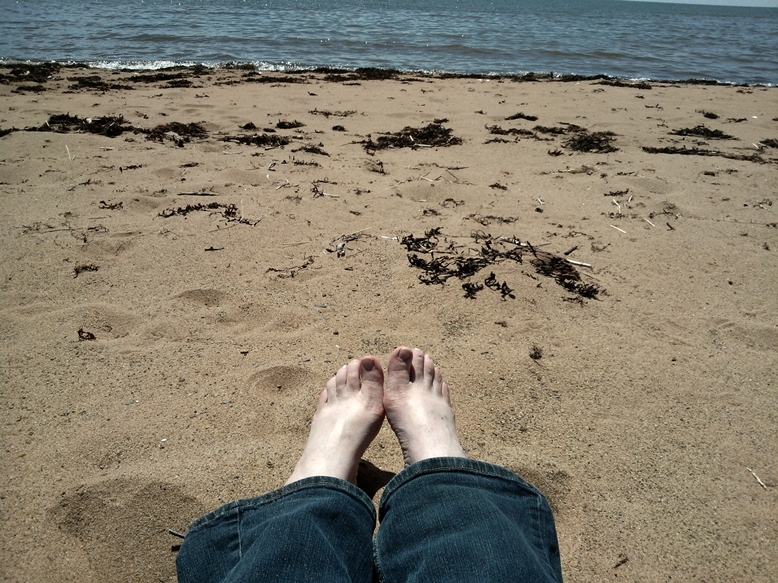 Lying on the sand and listening to the ocean waves was relaxing...a little TOO relaxing! A half hour of that put me in vacation mode and made it hard to get back to work. So I think from now on we'll have to take our breaks in a less relaxing way or I'm not going to get a whole lot done around here! Nothing like a little sun, a little sand, and a little surf! 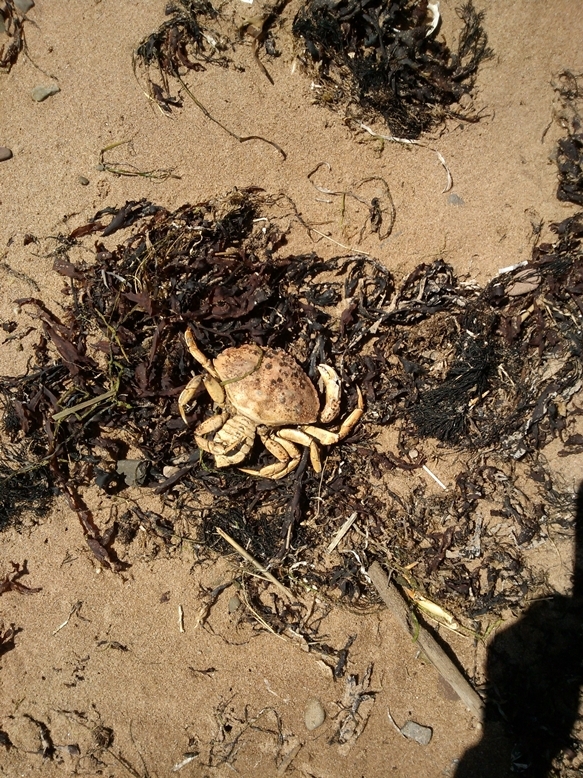 Seaside casualty! Suddenly my stomach is growling reminding me it's time to get some dinner started. Never thought I would one day have something like this so close at hand! I guess I never need to go away on vacation anymore.